I remember having fun on this course so I was looking forward to it. 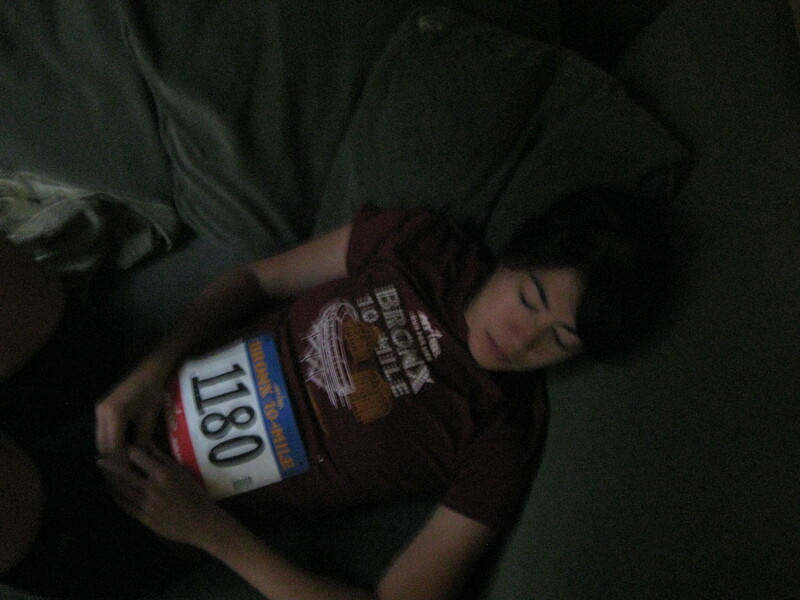 And I figured I had to do better because of the resting, the pasta, the proper “getting ready” for this particular race rather than a marathon training run. 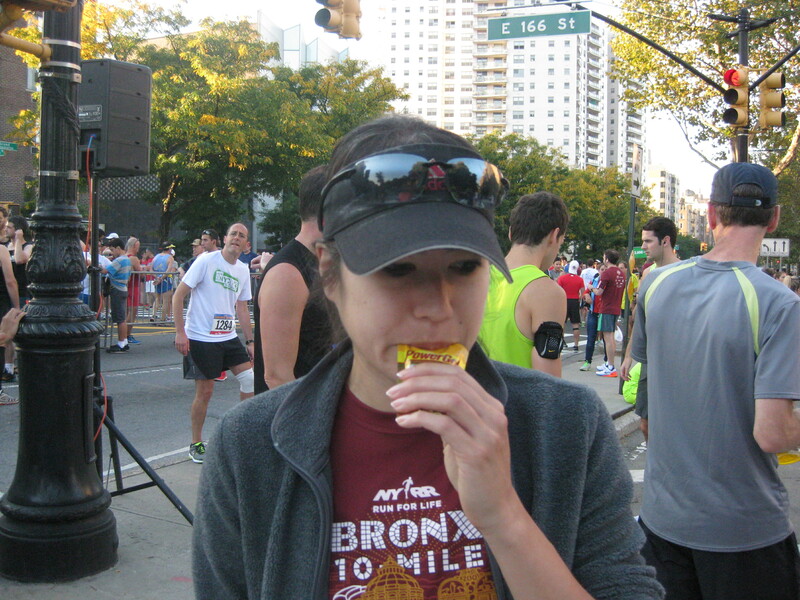 To add to my PR chances, I even choked down the dreaded GU. The gun went off and I went out feeling good, remembering vaguely the slow downs and ups and turns and all. I even caught up with my friend Santiago who I hadn’t even seen in the beginning! 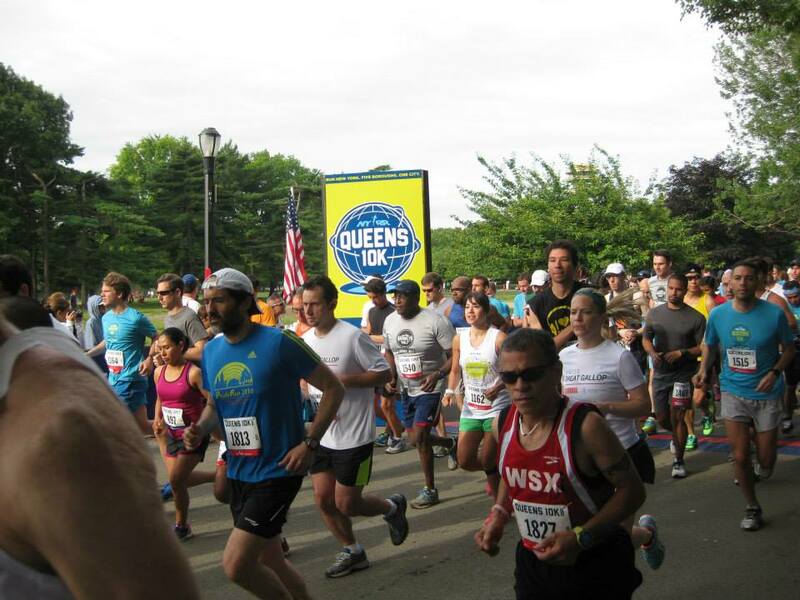 Santiago and I did the Queens 10K back in June and although we ran together the whole way, he was able to sprint ahead at the end, giving himself a new PR. 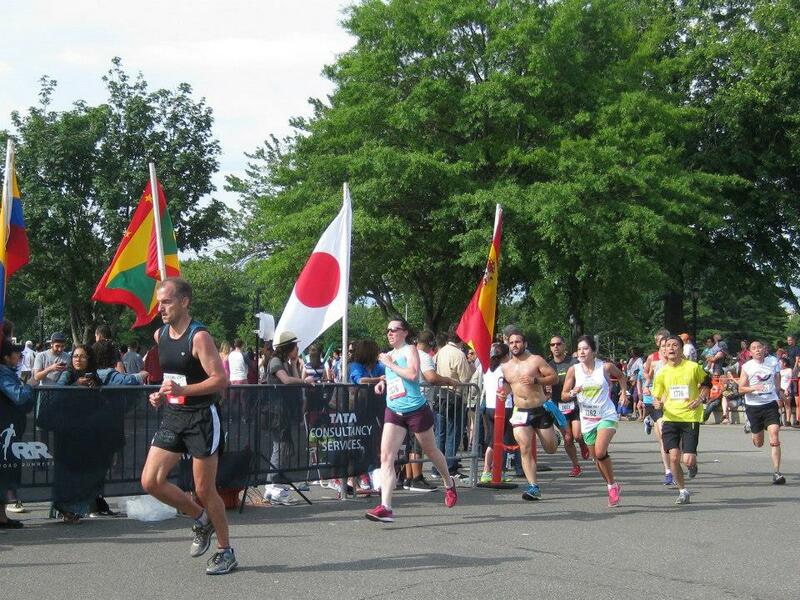 Santiago and I starting out together on a hot but not so hot day comparatively! Santiago was at least 20 secs ahead! After our “how’s it going?” exchange, I went on still feeling good after the 10K mark. 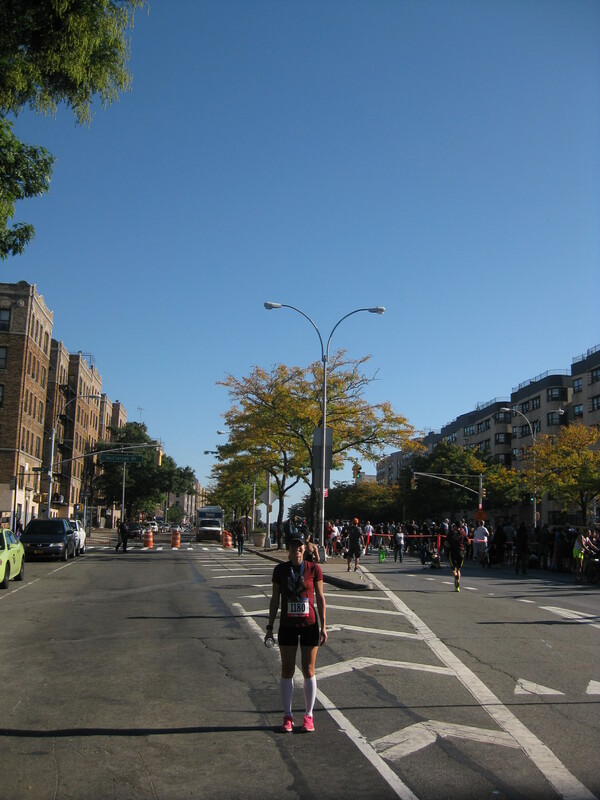 Someone even chased after me asking if I was the girl who he followed during the 18 Mile Marathon Tune Up who was doing really well…turns out I was not that girl since they were a lot faster than me! 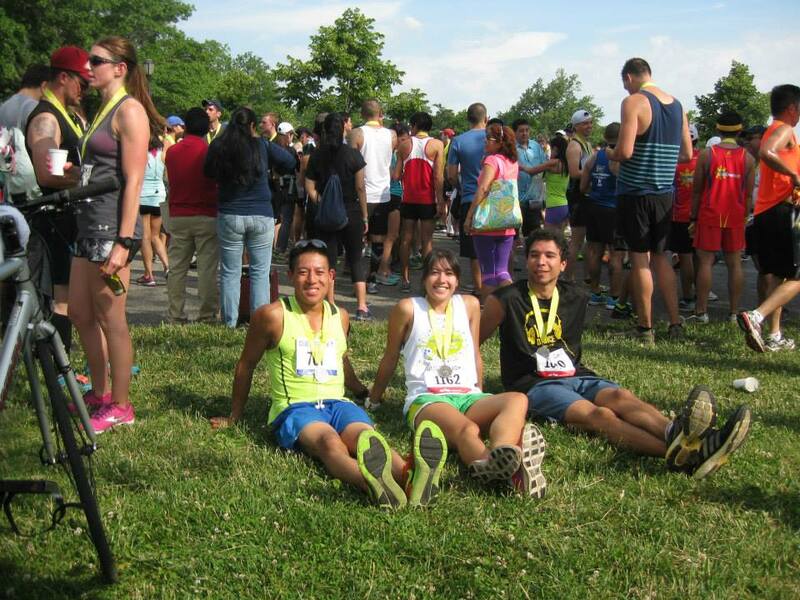 But anyway he encouraged me to keep it up until I told him to just go on without me with a “good luck!” I was still on track to PR for the 10 mile distance and I didn’t want to jeopardize it since there was a long steady and grueling hill before the finish. Things went well, I had a minor cramp in my shoulder along the way that thankfully went away, and I powered up the hill to the volunteer yelling “Don’t give up now! I told you I’d see you again!” (it was an out-and-back course). Trying not to count the blocks was not easy but they go by fast when you’re booking it! All my self-assessments were saying that I had it in me to keep it up. 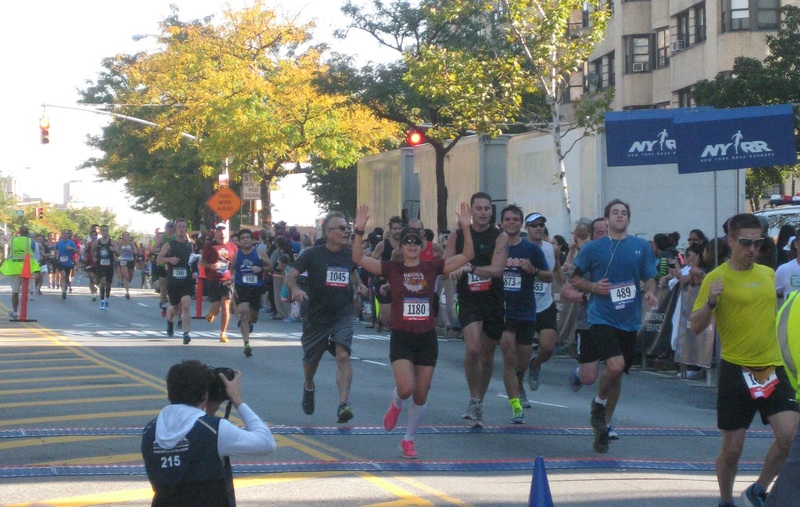 I huffed and I puffed and I told myself “every second counts!” Across the finish line I came with a new personal best! 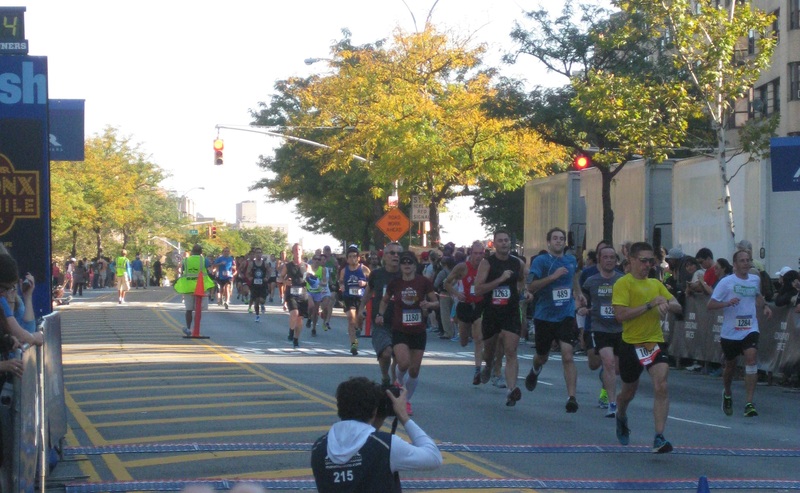 Next post will be about the latest PR: The Staten Island Half Marathon, coming soon!!! 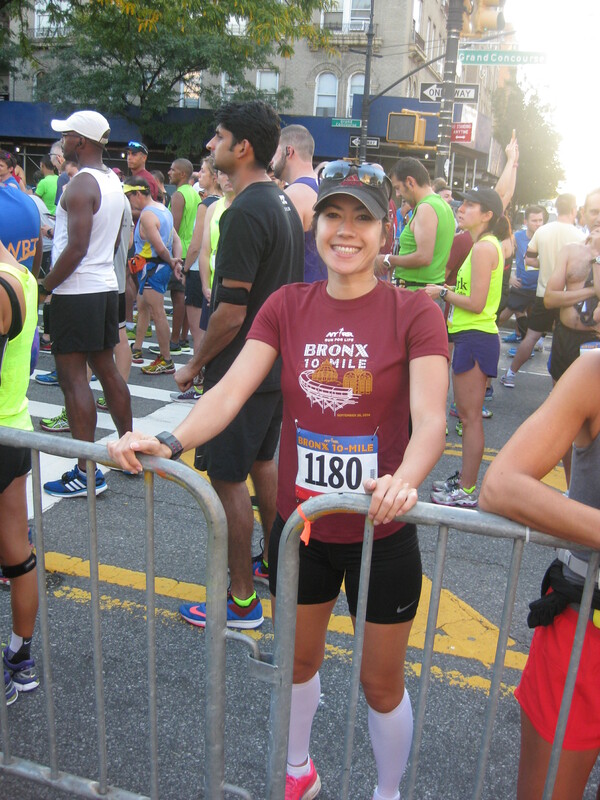 This entry was posted in Race and tagged 10 mile, 18 mile tune up, borough series, bronx, bronx 10 mile, GU, new york, NYRR, personal best, personal record, Queens, queens 10k, racing, resting, running by Blackfoot Running. Bookmark the permalink.